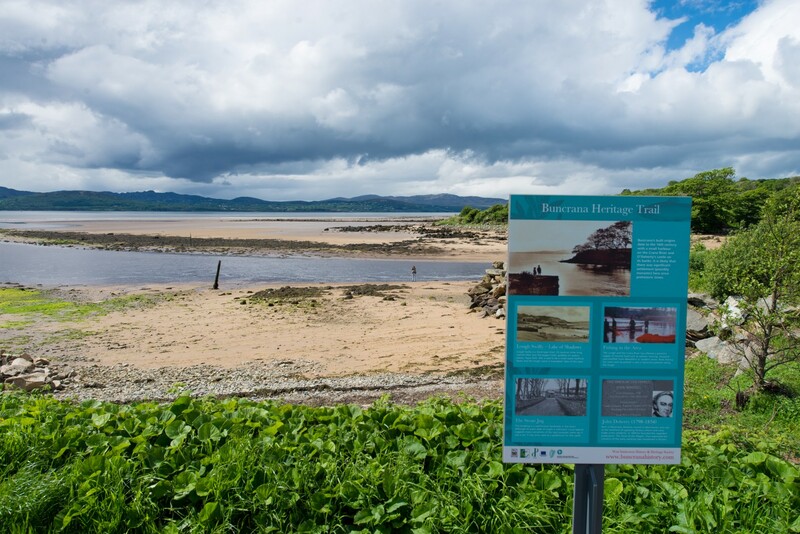 Buncrana Heritage Trail came about in late 2012, when an idea was developed to create signage and a heritage walk through the town – preparations began for the 3.6KM trail which also includes an optional half mile coastal walk to Neds Point Fort. 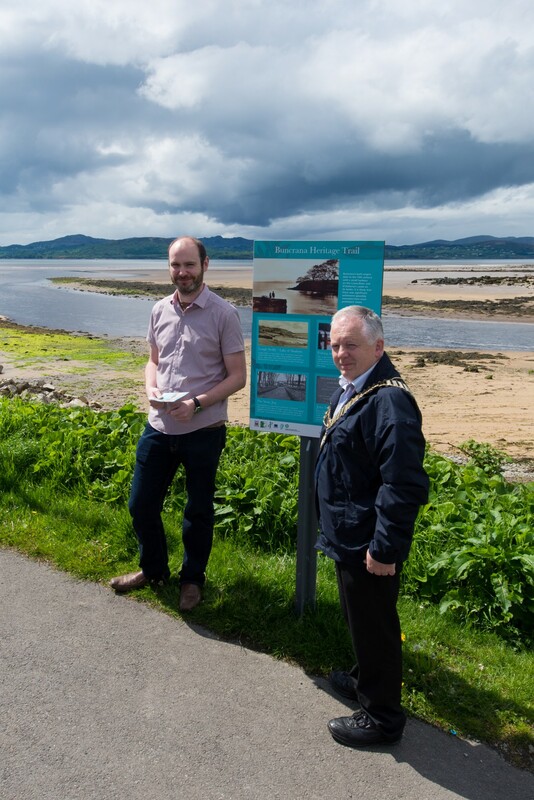 A delegation from West Inishowen History & Heritage worked alongside Inishowen Tourism to oversee the text, photos and placement of interpretative boards and plaques. 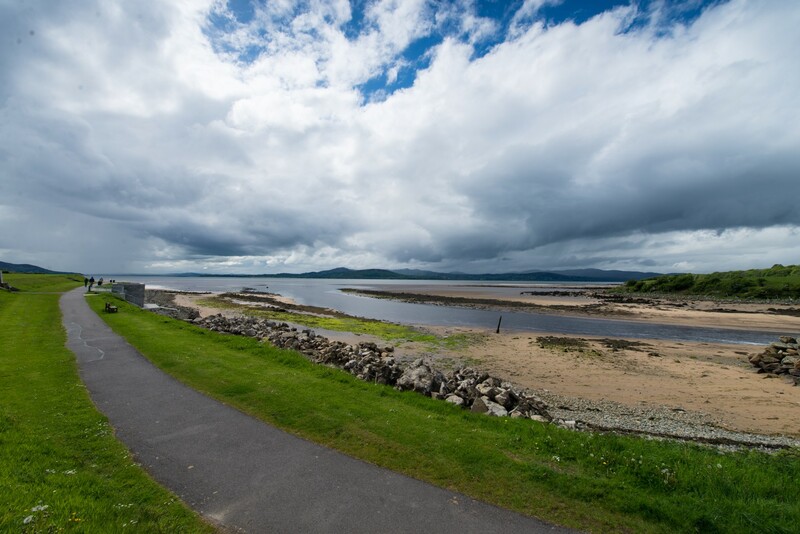 Members from the world renowned Buncrana Camera Club also gave their photos for use on boards and brochure, while full support was also given from Buncrana Tidy Towns Initiative – it truly was a community wide event! 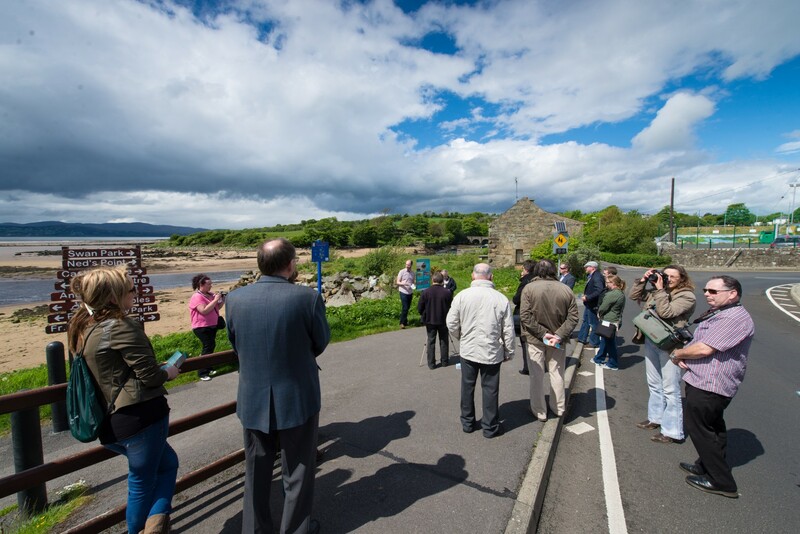 The whole purpose of the trail is to preserve the town’s history & heritage, while giving visitors and local alike a more detailed description of places of interest, buildings and areas within the town centre. 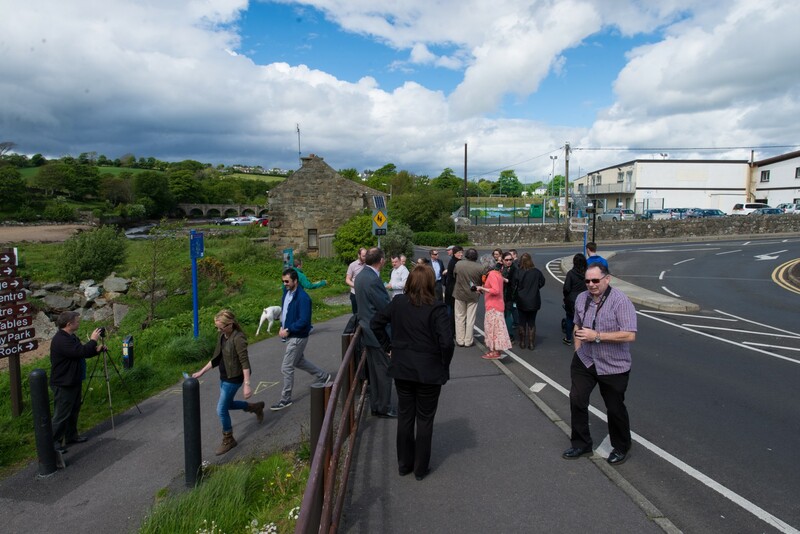 The trail begins at the Stone Jug, continues through Swan Park to the gate at Westbrook Bridge, then heading back towards town, through the Main Street and onwards to the Drift Inn. 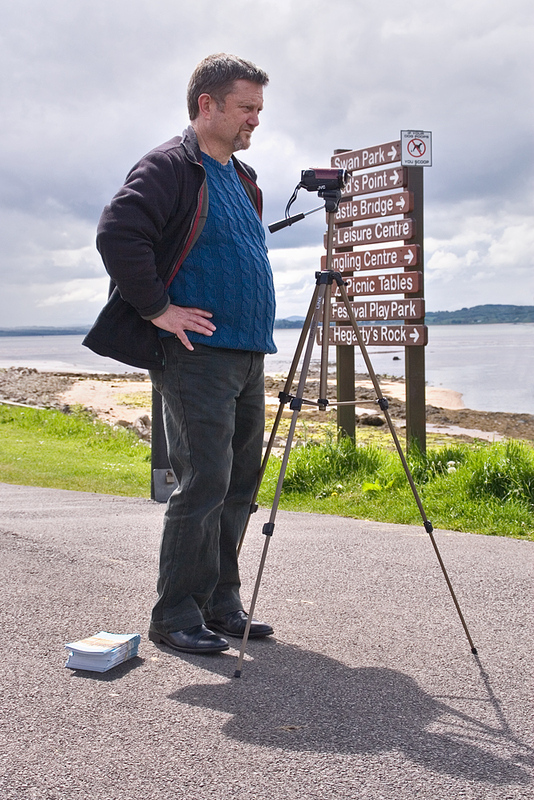 There are 7 interpretive boards in total – including the one at Neds Point Fort. 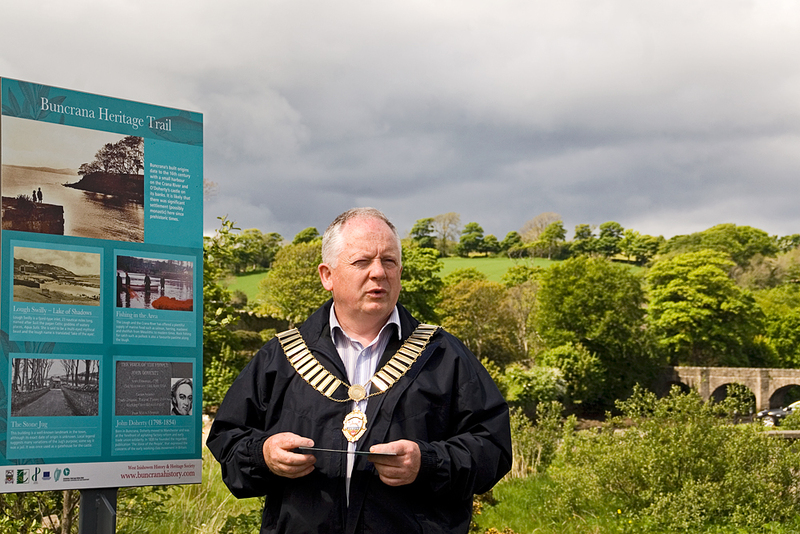 The places of interest at which commemorative plaques have been installed include Maginn Cottage, former coastguard station and the birthplace of well known Buncrana man Frank McGuinness to name but a few. 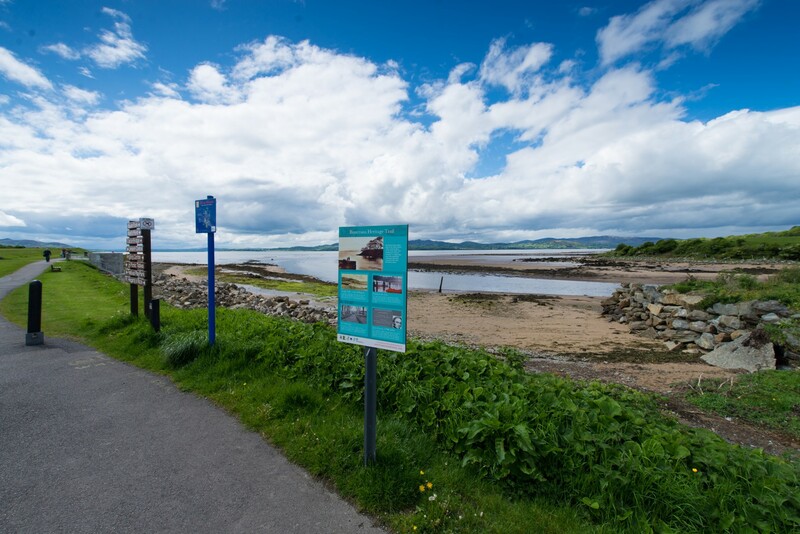 Trail maps and leaflets are available in the Inishowen Tourism offices in Buncrana and Carndonagh, and also at Pixcam in Buncrana. 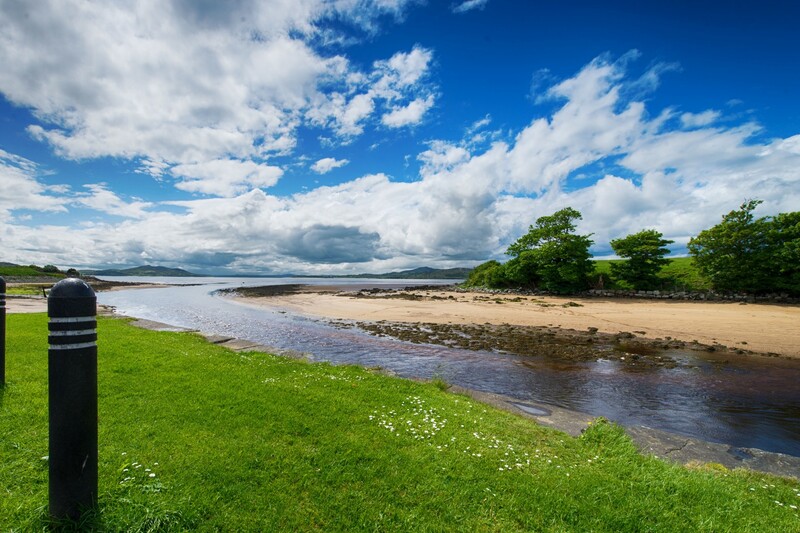 The mouth of the river Crana towards Inch Island and Rathmullan. Photo by Adam Rory Porter. Photo by Adam Rory Porter. Smiles all around as the sun made a very well timed and short appearance. 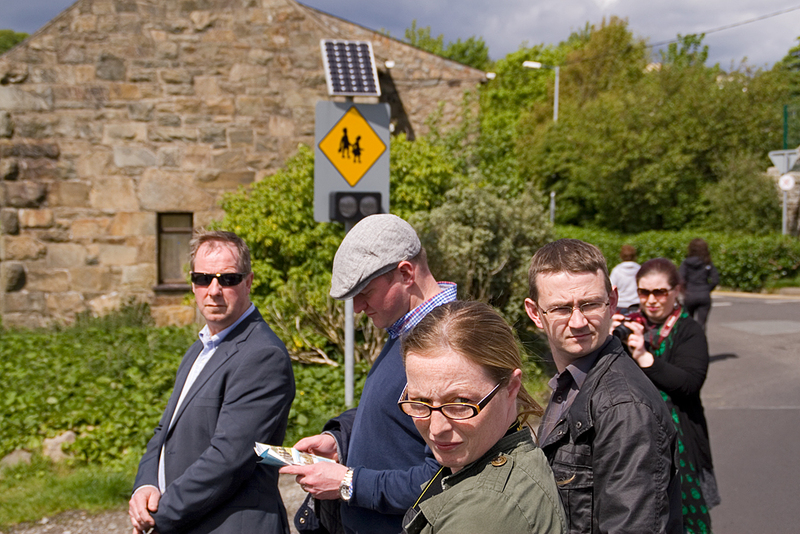 From left to right: John Hegarty, Liam McLaughlin, Andrew Garvey-Williams, Adam Rory Porter, Ruth Garvey-Williams, Adrian Grant, Cll. 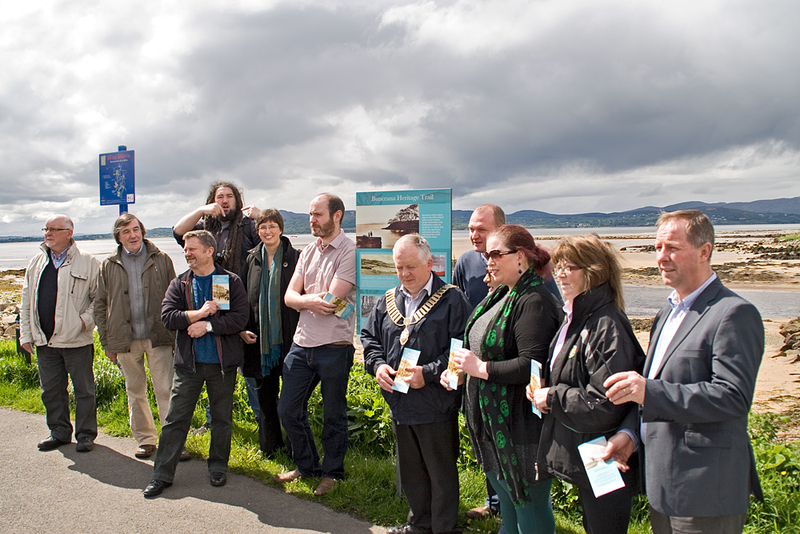 Peter McLaughlin (Mayor), Lee Tedstone, a somewhat hidden Marie McLaughlin, Lisa Henderson, ... Cll. Micheal Grant. 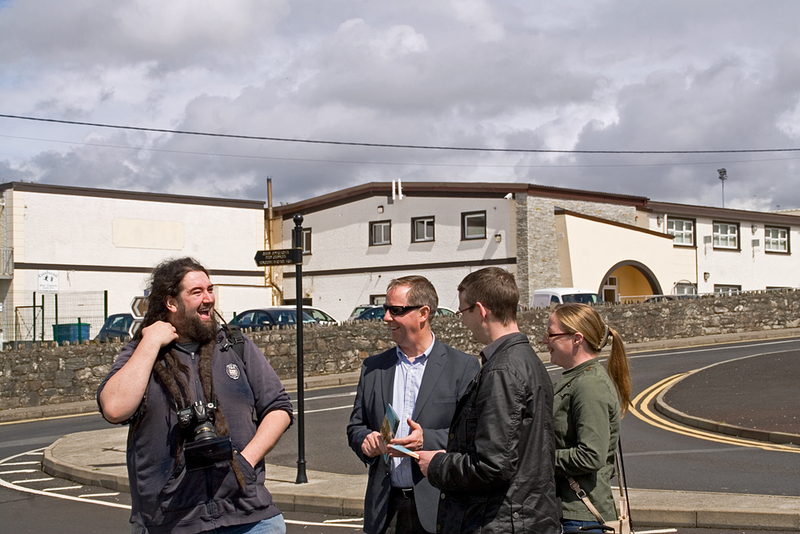 Adrian Grant and Mayor Peter McLaughlin. Photo by Adam Rory Porter. A dramatic sky drawing long shadows. Photo by Adam Rory Porter. 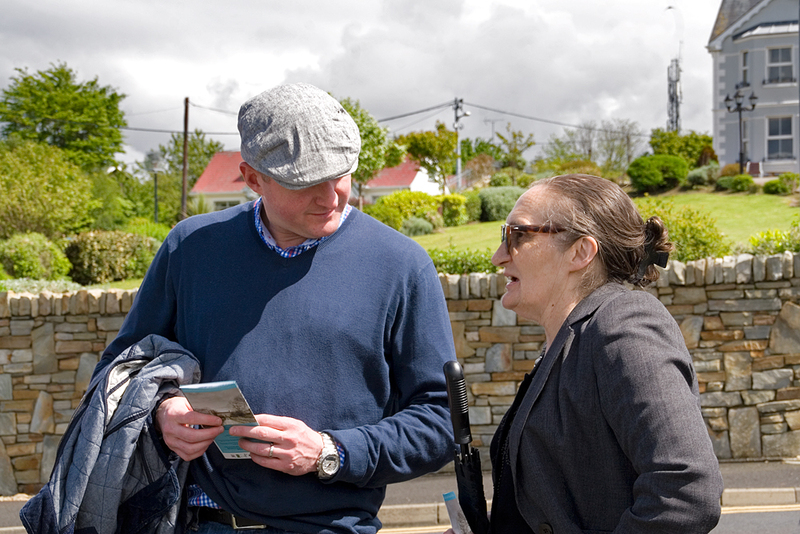 Opting for a stroll or refreshments. Photo by Adam Rory Porter. 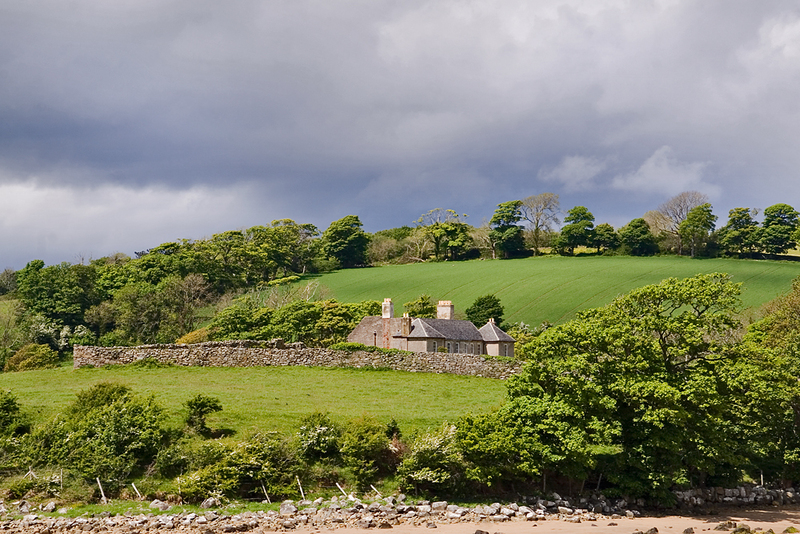 A last view before the weather changes. 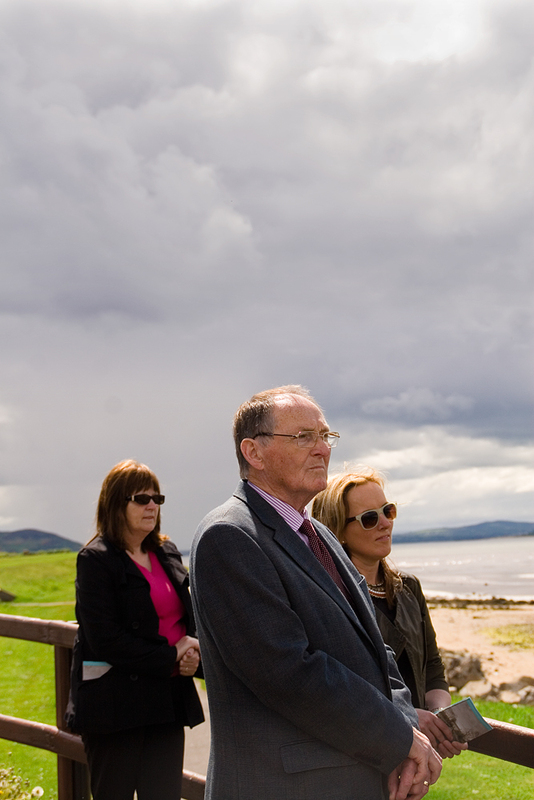 Towards the Amazing Grace Viewing Platform. Photo by Adam Rory Porter.